Hotel and retail sectors are on the rise like never before. A hotel’s efficiency is directly proportional to the efficiency of the worker. From cooks to a waiter, from a receptionist to the accounts manager, a good hotel always need numerous employees for effective running. Just like hotels, a retail outlet also requires effective manpower to assist people’s need. This is where full-time hospitality recruitment agencies step in. Why Is A Professional Hospitality and Retail Recruitment Agency Required? The main job of a professional hospitality and retail recruitment agency is to ensure that the business does not run out of staff when required the most. Most of the hotels remain open 24 hours a day, 7 days a week, and 365 days a year. So, there is always an enormous requirement for manpower. This is where we come to rescue. As one of the top international hospitality recruitment agencies, we always offer the best staffing solution. 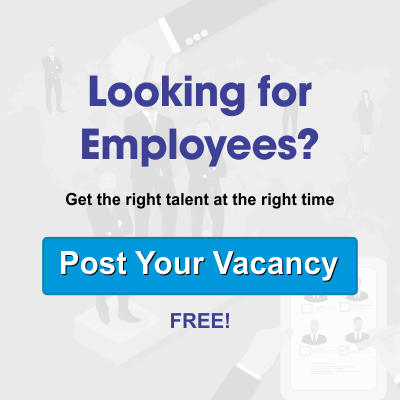 We have years of expertise in this field and know the procedure to select the right talent from a wide pool of resumes. We have a Huge Database of Talents – The requirement of the hotel and retail industry is vast and continuous. We have a huge database of multi-tasking individuals who are ready to serve in hotels all over the world. A big database also ensures that we never run out of resources. It even helps us to cater to the needs of the clients even in the hour of emergencies. We Rely on the Latest Tools – At a time when technology is at its prime, we make sure that we are not far behind. We use the latest recruitment software in the recruitment process. The recruitment software dramatically increases accuracy and pace. Additionally, we use advanced tools for scrutinizing thousands of data over a short span of time. This helps us save time and accelerates the process of recruitment. We Have a World-class Team of Recruiters – Our recruiters are our biggest assets. Our recruiters are professionally trained and have years of experience. It helps them to understand the requirements of the market. Also, we conduct seminars to ensure that our recruitment team is always up to date with the latest happenings in the recruitment world. We have Strong International Connections – There is a famous saying “In order to be the best, you need to know the best”. Over the years, we have managed to establish strong bonds with other top recruitment companies in the world. This helps us to share new ideas and learn new things. Also, it widens our reach. Ensuring customer satisfaction is one of the main objectives of the Alliance Recruitment Agency. This is why we always put our best foot forward when it comes to providing staffing solutions. We have years of experience in this field and we constantly strive to improve our services so that we always stay on the top. Our goal of providing quality recruitment services is so firm and resolute that we work day in and day out to satisfy the needs of our clients. Furthermore, our services come at a very affordable rate. This means our clients will find talented staffs for their hospitality and retail businesses without burning a hole in their pocket.